Flat roofs are generally less practical and less durable than pitched roofs, especially in heavy snowfall areas. They are sometimes used to cover extensions of the main house and in combination with upper floor decks. Carports and garages are frequently covered with a flat roof. In flat-roof construction where rafters also serve as ceiling joists, the term "roof joist" is used. The size of these roof joists is established on the basis of both roof and ceiling loads. (See Tables 24 and 25.) Rafters chosen for structural adequacy may not, however, provide adequate depth for insulation and ventilation of the roof space. In such cases, wider lumber or engineered wood products should be used. 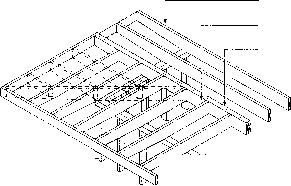 Roof joists for flat roofs are usually laid level, with roof sheathing and a roof covering on top. The underside of the roof joists is used to support the ceiling. A slope of at least 1:50 should be provided for roof drainage by sloping each joist with a ledger strip on the underside of the joist at the bearing wall, or by adding a tapered strip to the top of the joists. Two flat-roof designs. Rafters may also serve as ceiling joists. Typical construction of flat roof with overhang. roof in which the bottoms of the roof joists are level, eliminating the need for separate ceiling joists. When an overhang is called for on all sides of the house, lookout rafters are ordinarily used (Fig. 63). These lookout rafters, which are usually twice as long as the overhang, are toenailed to the wall plate and end-nailed to the first roof joist. If the lookout rafters project into the ceiling area more than one and one-half joist space, two roof joists are nailed together to form a header. One outside rafter header is then added and end-nailed to the lookout rafters and roof joists. This serves as a nailing support for the roof sheathing, fascia board and soffit covering. Such overhangs are generally from 16 to 24 in. (400 to 600 mm) but do not exceed 4 ft. (1.2 m). Sloped roofs, as shown in Figure 62B, may have a ceiling finish attached to the roof joists with the ceiling following the pitch of the roof to form a "cathedral" ceiling. The roof joists are supported on a ridge beam in this case. Note-. Insulation is generally placed between the roof-ceiling joists. A ventilated space of at least 2 1/2 in. (63 mm) must be provided between the top of the insulation and the underside of the roof sheathing. This can be achieved by placing 2 x 2 in. (38 x 38 mm) cross purlins over the top of, and at right angles to, the roof-ceiling joists. The 2 x 2 in. (38 x 38 mm) members may be shimmed to provide the required roof slope. 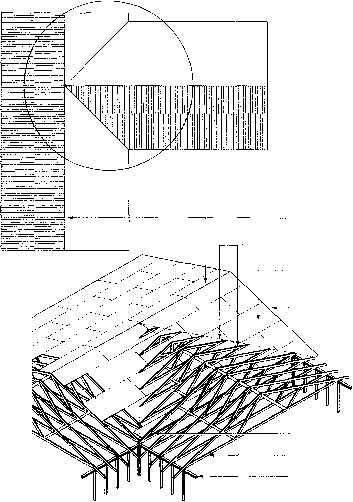 Figure 126 shows a cross-section of the completed roof.Figure 126 shows a cross-section of the completed roof.